We know that moving and storing your personal or professional goods can be a nerve-wracking experience. But we’re here to help! 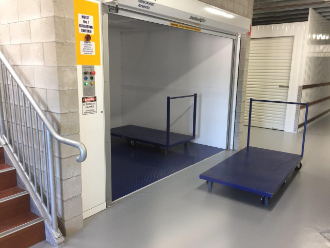 The packing experts at Storage City have compiled the following storage ideas, tips and tricks to make your storage experience as worry-free as possible. 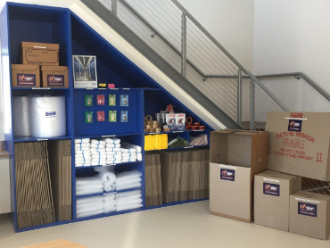 Simplify your storage experience with our packaging and storage materials available on-site, including quality boxes in a variety of sizes, port-a-robes, furniture covers, bubble wrap and tape, markers, and more. 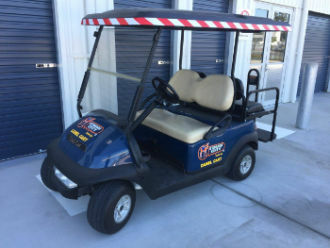 Check out our selection on-site or contact your local Storage City for more storage ideas. Wrap all breakable items separately in tissue or packing paper. Place plates, saucers, and bowls on their sides to prevent breakage. Pictures and mirrors should be wrapped in cardboard or proper picture cartons. Pack in sturdy boxes and place packing materials in the top and bottom of cartons for added protection. Empty space should be filled with tissue or packing paper. Mark “FRAGILE” on at least 2 sides of the box and on top flap. Ensure heavy items do not get stacked on top of cartons containing breakables. Remove batteries from battery-powered items in order to avoid long-term damage. Ideally, secure equipment in its original packaging. If that’s not available, mark cartons carefully and avoid over-packing boxes. Place a cover over all furniture, especially sofas and anything of value. Vacuum lounges and couches for food crumbs in order to prevent pests. Where possible, remove the legs from furniture pieces (e.g., bed bases, etc.) in order to avoid damage to the legs and to save space. If storing a refrigerator or freezer, be sure that the item is thoroughly clean and dry to prevent moisture and mildew from damaging any other valuables. Store with the door(s) slightly ajar. Defrost refrigerators and freezers prior to storing, as meltwater may damage your goods. All drainage hoses should also be emptied of water. Place deodorisers inside refrigerators or freezers to improve freshness. Be wary of packing items inside refrigerators or freezers, as they may scratch shelving. If in doubt, leave them empty. Minimise oxidization and rust on items made of steel, chrome or cast iron by wiping with a few drops of oil before storing. Pack these items away from soft goods (e.g., furniture) in order to avoid staining. Wrap silver in non-acid tissue paper or plastic bags to reduce tarnishing. An important note about prohibited items: Please do not store any goods that are hazardous, illegal, stolen, inflammable or explosive, environmentally harmful or perishable. This includes petrol tins, paint thinner, gas bottles, chlorine, or other combustible items.